Harpist Sylvia Norris is well known to Michigan audiences as both a recitalist and orchestral musician. A Michigan native, for over twenty five years she has played principle harp with the Traverse Symphony Orchestra. She is also currently principal harpist of the West Michigan Symphony Orchestra under the musical direction of Scott Speck, and the Battle Creek Symphony Orchestra, Anne Harrigan, music director. She held the position of second harpist with the Grand Rapids Symphony for 17 years and has appeared with the Detroit Symphony as well as every other Michigan orchestra of note, and recently appeared as guest harpist with the Billings, Montana Symphony. In addition to her orchestra duties, Sylvia teaches promising harp students at the Interlochen Arts Camp. She is a graduate of the Eastman School of Music, where she studied with Eileen Malone. Other teachers include Lauralee Campbell, of Michigan State University, Nancy Allen at the Aspen Music Festival and Suzanne Balderston at the Music Academy of the West in Santa Barbara, California, where she was the recipient of the Outstanding Harpist Award. She loves to play chamber music and plays in many chamber settings including the Chamber Music Festival of Saugatuck, and the Interlochen Arts Camp, where she holds the position of a summer instructor of harp. Sylvia has worked as an artist mentor in Bogota, Columbia for the Filharmonica Joven de Columbia under the artistic direction of the late Matthew Hazelwood. 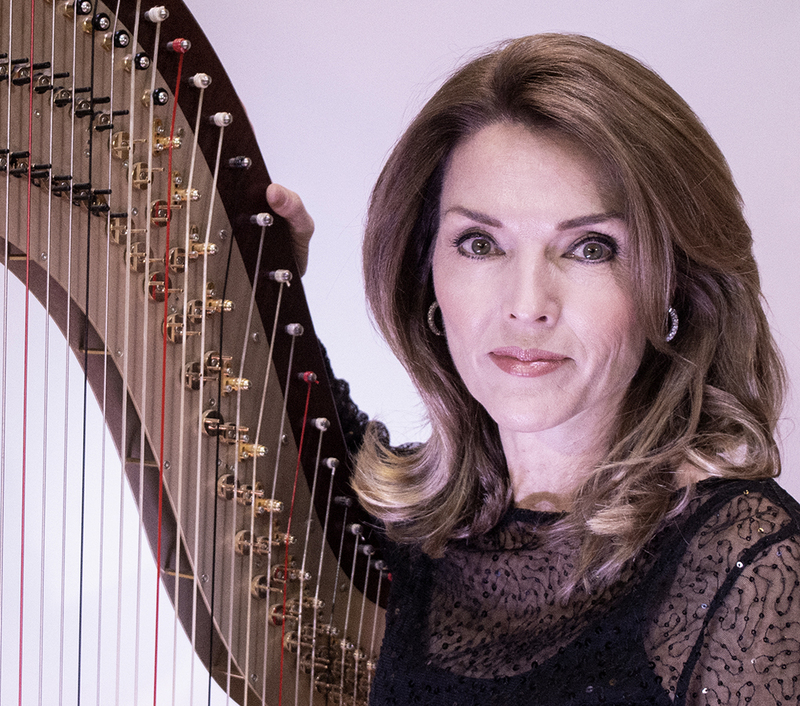 Mrs. Norris has been a featured recitalist at the American Harp Society National conventions. She has been a concerto soloist with several Michigan Orchestras and was the featured soloist opening the 2009-2010 West Michigan Symphony Orchestra season. In recent years, she has been a featured performer on the Regent Seven Seas Cruise Line, performing as a solo harpist and as a headliner with her husband, baritone, Jeffery Norris and her daughters, Hayley (BFA recipient in Musical Theater from Shenandoah Conservatory in 2011) and Emma, (budding pop music recording artist). In 2005, she was chosen to tour with Josh Groban to Bermuda where she was privileged to also appear in recital with legendary flutist, Sir James Galway. Sylvia and Jeff reside in Traverse City where she continues to teach privately and is active in her church and community.